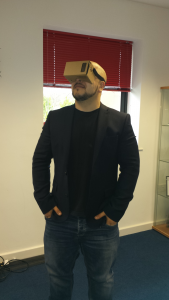 We’ve been experimenting with the Google Cardboard today. For those that don’t know what it is – it’s a simple cardboard cut-out that can transform your phone into a neat virtual reality headset. Get it, fold it and look inside to enter the world of Cardboard. It works by placing your phone at an optimal distance away from the lenses and by using compatible apps. The lenses create the 3D effect so you can move your head around and it will respond to you as if you were really there. The Google Cardboard was part of a Google 20% project where employees are allowed to work on side projects in addition to their normal everyday duties. 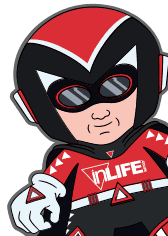 We have the same innovative concept running with inLIFE staff too! While companies carry on developing high-tech virtual reality devices, Google has proven that you don’t need fancy gadgets to have a virtual reality experience. Just cardboard and a few other inexpensive items. You can explore Google earth or walk the streets and have a tour of a city, play games, go on a rollercoaster or you could explore the latest action packed YouTube videos.